D23 Gold Members: there are a limited number of discounted tickets still available for this year's D23 Expo. Learn more here! 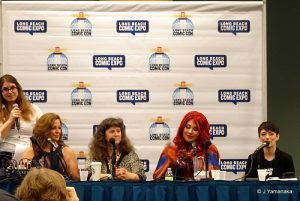 This weekend saw this year's Long Beach Comic Expo come to the Long Beach Convention Center packed with pop culture activities and merchandise in general, and Captain Marvel in particular. From May 25 through September 3, 2018, as part of Walt Disney World&apos;s "Incredible Summer," Tomorrowland&apos;s Rockettower Plaza stage will host the Incredible Tomorrowland Expo. During the Expo, you&apos;ll have the chance to interact with Mr. Incredible, Frozone, Mrs. Incredible and, for the first time, Edna Mode. Throughout the land, you&apos;ll be immersed in the world of The Incredibles with themed decor, sound effects and music, all while interactive dances and super human entertainment take place during the Super Party Time stage show. Other highlights of the Expo are the Diaper Dash, featuring babies racing to the finish line, the roaming Super Fans, and other up-and-coming Supers who are showcased in between character appearances. In addition to new Incredibles merchandise, there will also be a number of Incredibles-themed items added to Tomorrowland&apos;s restaurant menus. We&apos;ve consolidated all the projects announced at the D23 Expo in one place with links to more information. We will keep you updated as projects take shape. By Debra Martin Koma AllEars® Senior Editor Feature Article This article appeared in the September 1, 2009 Issue #519 of ALL EARS® (ISSN: 1533-0753) I don&apos;t know about you, but I&apos;m getting excited about the upcoming D23 Expo, which is running September 10 through 13 at the Anaheim Convention Center in California. That&apos;s probably because … Continue reading "D23 Expo Exposes Treats for Ultimate Disney Fan Experience"
By Debra Martin Koma AllEars® Senior Editor Feature Article This article appeared in the September 15, 2009 Issue #521 of ALL EARS® (ISSN: 1533-0753) So I&apos;m back from the D23 Expo and you&apos;re probably wondering: How was it? What did I think? Was it worth it? Would I go again next year? 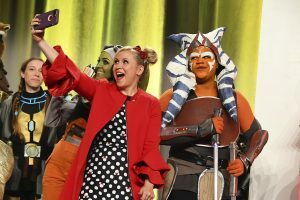 Let me see … Continue reading "D23 Expo Reviewed"
AllEars Newsletter Editor Deb Koma attended the fourth biannual Ultimate Disney Fan Event, known as the D23 Expo, and shares her highlights.